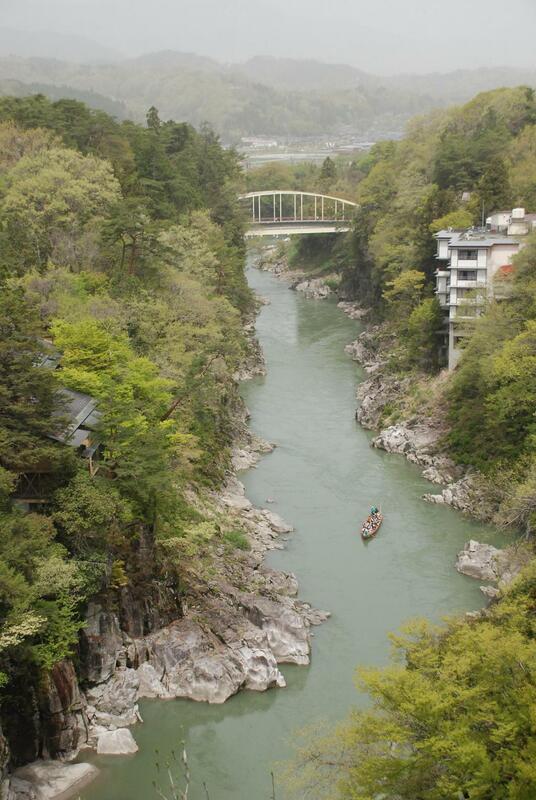 Leisurely Boat Ride through the Beautiful Tenryu River Gorge. 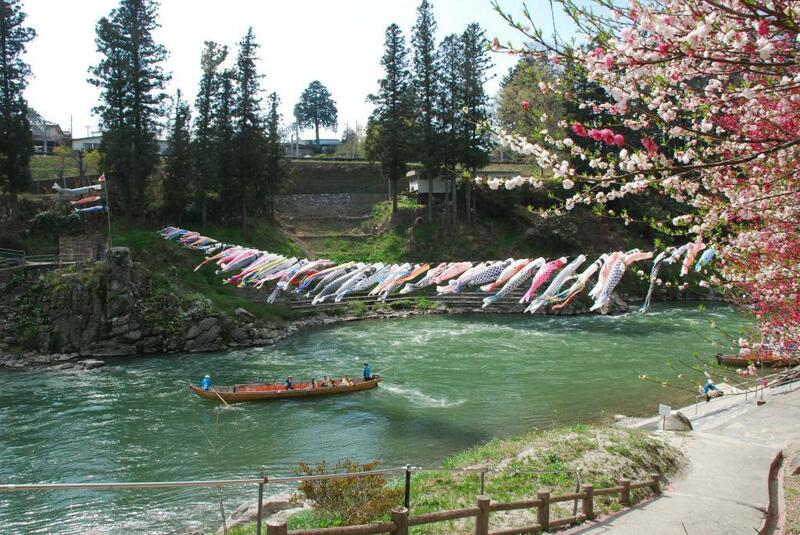 Second of 2 boat rides down the Tenryu River, the "Rhein" ride's course is a lower, more leisurely section of the river and includes the picturesque Tenryu Gorge. 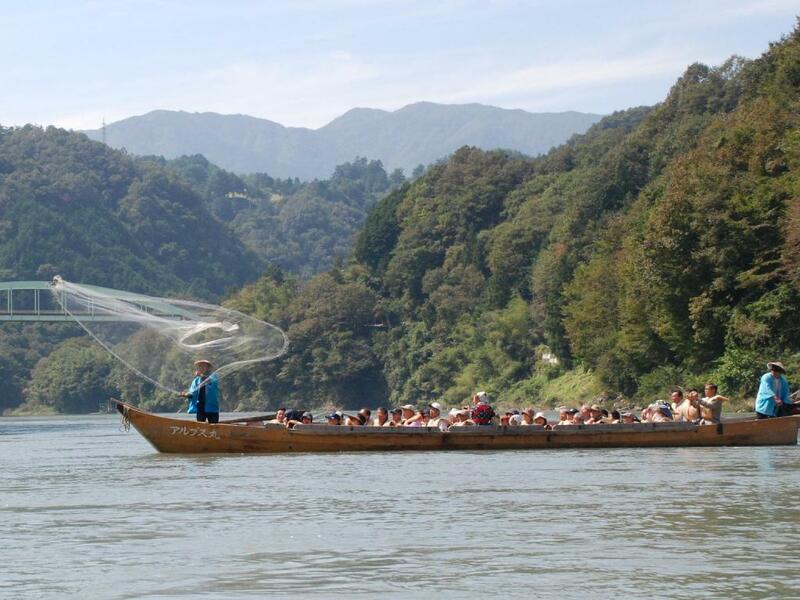 The tour also includes a demonstration by the guides of their fish net throwing technique. Runs daily year round except 12/29-31. Convenient access by car (3 min.) from expressway interchange. Convenient access by train (2 min.) from Tenryukyo Station but train frequency is limited. In winter, boat heated by 'kotatsu' (table with a heating element on its underside). From Tenryukyo IC, proceed down 650m to Route 492 and turn right, cross the Tenryu River and take first left. (approx. 3 min.) Parking lot on the left.